Learn Kesari Rice Kheer Recipe | How To Make Chawal Ki Kheer | Saffron Rose Flavoured Rice Pudding with step-by-step-photos and video tutorial. Kesari Rice Kheer is a classic, rich and creamy Indian rice pudding cooked with rice and milk is delicately flavored with cardamom, saffron and rose water. Full fat milk is evaporated to half during the cooking process to produce a thick, creamy base. Mother’s day is round the corner. Do you guys have any plans for Mother’s day? At home, on this Mother’s day, I am planning to make some rice kheer. This is a dish loved by two of the most special ladies in my life – my own mom and my daughter. This is my way of showing my mom that I care for her. Though she knows it, we should not take our loving relationships for granted. Thus, I always try to tell her that she plays an important role in my life. And the best way to express this feeling is through some good food. 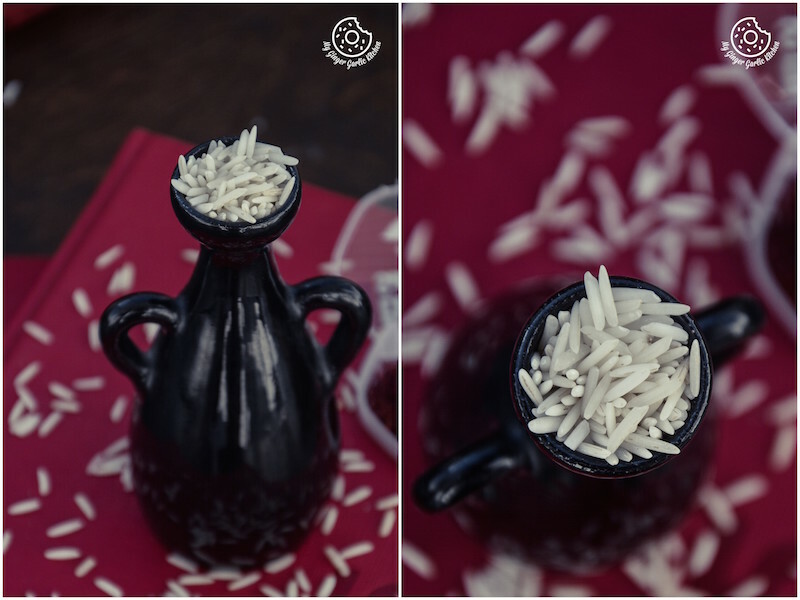 And that is why I will make her favorite dessert, Rice Kheer, on this Mother’s day. If I tell you a secret about my Mom; she loves puddings. I mean, she is just so fond of this rice kheer, that I wish I could make her favourite Indian rice pudding for her on this Mother’s day! This has truly all her favorite things. Especially she loves all milk desserts. They are her all time favorites. Adoria, my 3-year old, just loves this rice pudding like her Granny! I must say Adoria would have gotten her taste buds genes certainly from her Grandmother. Weekend noons are some we time for Abhishek and me. Yesterday afternoon, Abhishek and I were watching a movie at the time Adoria was having her afternoon nap. At about 3:00 pm, she woke up and came directly to me and out of nowhere, she said, “Mamma, Kheel! She said again, “Mamma, Kheel! I then asked, “You want kheer?” She nodded and said, YES! Abhishek looked at me and we both laughed at Adoria’s cute and surprising demand. And then, Abhishek also wanted some. So, I had to make them happy. Kesari Rice Kheer is a classic, rich and creamy Indian rice pudding cooked with rice and milk,and is flavored with cardamom, saffron and rose water. Full fat milk is evaporated to half during the cooking process to produce a thick, creamy base. Kheer is a popular dessert throughout India. It is called by different names across India – Payasam, Khiri, Payesh etc. Although the names are different, the cooking technique is quite similar. Rice kheer can be made for any festival or celebration or also as a sweet dessert which you can serve after meals at get-togethers. I have a confession to make. As I child I never liked this dessert. Everyone else just loved this kheer which my Mom made. But I have never liked desserts and puddings! Yes, you heard me right! In other words, I just hated this kheer! Mom would spend many hours making this much appreciated pudding, and I was the only one who always squeezed the nose when it was kheer for dessert! Mom always made another version of kheer (vermicelli pudding) for me, which I rather preferred. I now adore the kheer so much. 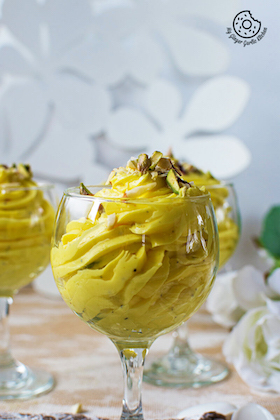 And especially with lots and lots of saffron, which gives this pudding a nice yellow color and a beautiful aroma. I also love to add almonds, cashews and raisins along with saffron and cardamom, and a drizzle of rose water after cooking. I am sold for this mighty kheer. I just love this pudding and simply crave for this particular dish many times. Time has changed and so did my taste buds. There are many ways of making this delicious dessert. But the two main ingredients of this pudding are rice and milk. You will find many versions of this mouth-watering delicacy. I am sharing my favourite version today. You can also use different flavorings, and nuts for this pudding. Also, I have used basmati rice, but you can use any other rice. Jasmine rice would work fine as well. I personally prefer pre-soaking the rice for an hour. This way it delivers the best results in terms of cutting short the cooking time. And also making it into a creamier and softer rice pudding. There is no big secret of making an awesome rice pudding. The only secret to make a delicious rice pudding is patience and love. In my opinion, a rather quickly made rice pudding would not give that authentic taste. If you really want a good pudding, then you have to be patient. I know, it’s asking too much. But I promise, it’s worth the wait and extra effort. That’s the key. I just love to take my time in slow-cooking rice pudding. And stirring with a long spatula as the rice gets creamier and creamier is a great experience in itself. Sometimes, I glance outside the window and feel my calming senses taking over my busy life. Cooking rice pudding makes me feel so alive. Let the milk boil for a long time till it gets thick and creamy. Add saffron and boil more for a while. Add washed and soaked rice, and again patiently let it cook towards a perfect creamy kheer. At last, add loads of chopped nuts, some cardamom, and rose water. The end result should be perfectly creamy in texture, something worth if you are want to savor a great dessert. It is an ultimate comfort food. Vegetarians would love this, as this is a pudding made without using any eggs. Here is a delicious Kesari Rice Kheer Recipe | How To Make Chawal Ki Kheer | Saffron Rose Flavoured Rice Pudding recipe for you. Grind the Saffron with 1 tbsp of milk and add it to the Milk, and let it boil for 10 minutes. Add rice and boil on medium-low heat till the kheer is creamy and the rice has cooked well. Keep stirring the pan and make sure it does not burn at the bottom. Add sugar and cook on low heat for 6-8 minutes. Add the cardamom powder, raisins, pistachio, almonds and cook on low heat for 2-3 minutes. Remove from heat, allow to cool a little. Drizzle rose water and mix well. Garnish with rose petals and chopped nuts. Serve hot or cold. Kesari Rice Kheer | How To Make Chawal Ki Kheer | Saffron Rose flavored Rice Pudding — Kesari Rice Kheer is a classic, rich and creamy Indian rice pudding cooked with rice and milk is delicately flavored with cardamom, saffron and rose water. Full fat milk is evaporated to half during the cooking process to produce a thick, creamy base. 1. Heat milk in a heavy bottomed pan and bring it to a boil. 2. Grind the Saffron with 1 tbsp of milk and add it to the Milk, and let it boil for 10 minutes. 3. Add rice and boil them on medium-low heat till the kheer is creamy and the rice has cooked well. Keep stirring the pan to make sure it does not burn at the bottom. 4. Add sugar and cook on low heat for 6-8 minutes. 5. Add the cardamom powder, raisins, pistachio, almonds and cook on low heat for 2-3 minutes. 6. Remove from heat, allow to cool a little. 7. Drizzle rose water and mix well. 8. 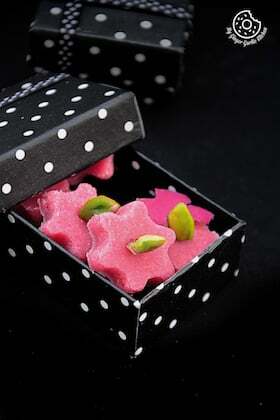 Garnish with rose petals and chopped nuts. Serve hot or cold.